The Bali Sun Lounger boast a surprising mix of style and functionality due to the high quality materials used in the construction of the product. Very easy to adjust for comfort, the lens seasand coloured cushions offer a great deal of comfort for when you want to spend a day in the sun, or by the pool! 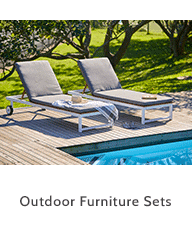 This delightfuly beautiful natural Balau Hardwood sunloungers is both appealing to look at and also offers a great deal of comfort.